It is already confirmed that Motorola will launch Dual SIM variant of the Moto G in India, instead of regular single SIM. Now another news arrives on the same is that the MotoG will have Android 4.4 Kitkat on board. The countries which are getting the Moto G with Android 4.3 OS will also receive Android 4.4 kitkat update in January 2014. The Motorola M0-to G would be launched in early January in India. The pricing of the phone for Indian market is not announced yet. It will really very exciting to see when and how the handset will rule in the Indian market. The Moto G is not the first phone that comes with such specs at such price, there are many Indian company’s that offers even better specs at the same price. But Motorola is well known and promising company, specially the after sale and product support is much better than them. The Moto G has 4.5 inch ‘edge to edge’ with 720p resolution and is geared with Corning Gorilla Glass 3 protection. It is powered by 1.2GHz Snapdragon 400 CPU coupled with 1GB RAM. To make the handset snappy and capable of playing high graphics intensive games, there is Adreno 305 GPU. For photography there is 5-megapixel primary shooter and 1.3-megapixel camera. 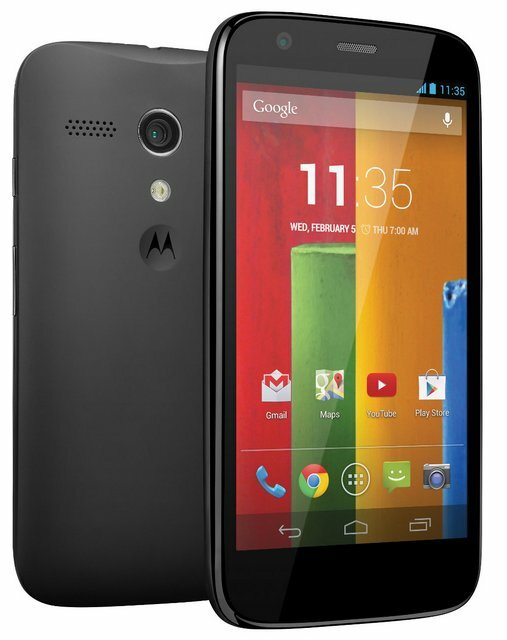 The Motorola Moto G houses 2070 mAh battery that claims to offers 30% more talkime than the Apple iPhone 5s.